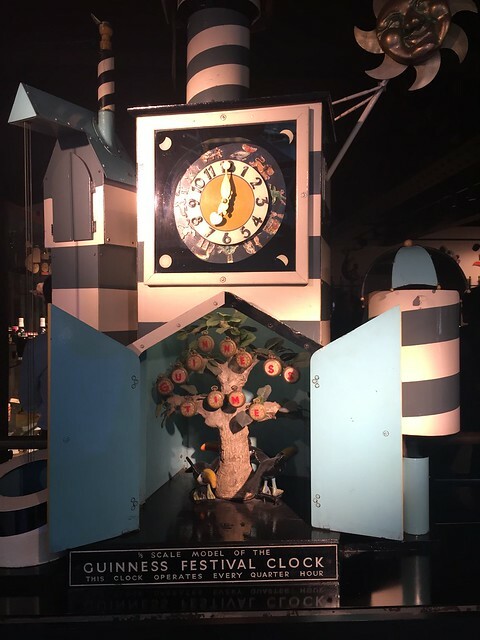 ...and back in time to explain to people that we can't vote for president. We're still officially Puerto Rican residents so we won't be voting in the big race today. As I assume will be the case with more people today, we'll be following along, as the results of all the races will have an impact wherever we call home. Stay safe, stay civil everyone; and with that, my political comments end. We're roughly halfway through with our Houseless 2016 trip and we're still smiling! We've managed to keep our suitcases roughly the same sizes as when we started this trip, though I can't say the same about our waistlines! We've finished the European portion of our trip and loved every minute of it. After we discovered Cologne, we headed to Frankfurt for a work event. Poor Frankfurt, other than being a clean and pretty city, I can't say much about you as I only caught a glimpse - I promise to return and explore! After Frankfurt was Ireland - beautiful Ireland. The people were lovely, the views were spectacular, and the animals were hilarious. I don't think there was anything we didn't like, oh... the narrow narrow roads, didn't like those. We started our Ireland adventures with a few short days in Dublin, a very pretty, very historic city. We shared the weekend in the city with over 50,000 gaelic football fans in town for a big Irish match. 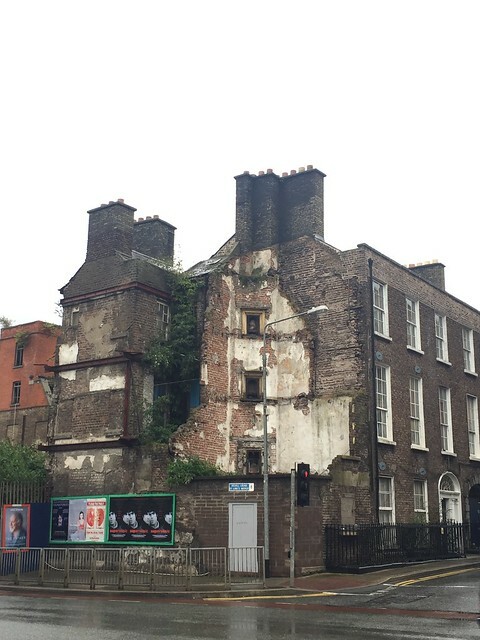 We mostly saw the tourist sights in Dublin, with not much time for off the track exploration. 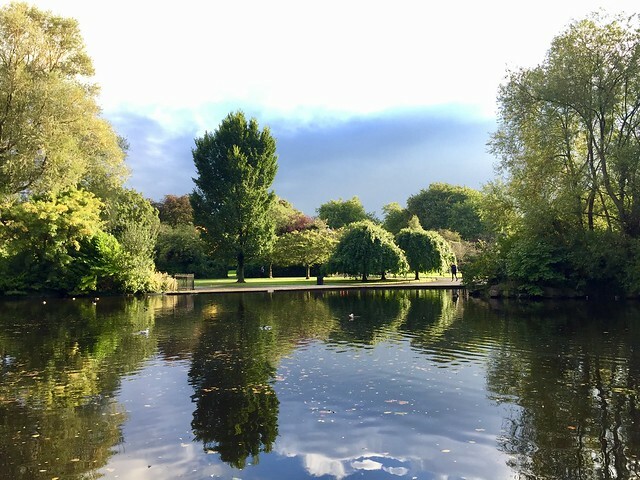 We like to discover cities by walking them so when it wasn't raining we tried to walk the city, see the neighborhoods and get a feel for it - it's not really something you can accomplish in 3 or 4 days but we like to try anyway. 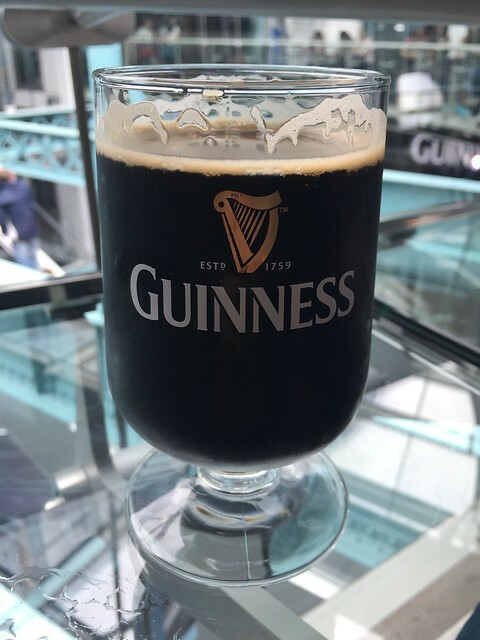 Our main touristy experience was the Guinness Storehouse tour, while a bit like Beer-disneyland, it was a nice tour with interesting history and an opportunity to view Ireland from above while drinking your beer that's included in ticket price. Unfortunately some of those 50,000 football fans also had the same idea to visit the storehouse. It was by all accounts, very crowded. As a non-beer drinker, the novelty of going was nice, but not worth the crowds. I think for Alejandro, the enjoyment was getting to try a Guinness he'd never had before - Foreign Extra Stout. I don't think we learned anything about Guinness you can't find on the internet but it was still a good tour overall. 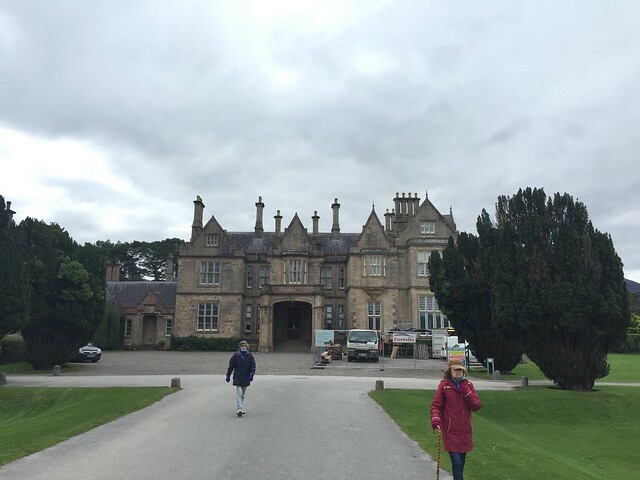 From Dublin, we rented a car and headed to Wexford. We declined the very expensive collision insurance by the somewhat pushy sales representative. I knew the car would be manual (fine with that), and I knew the wheel would be on the right (ok, drove like that once in New Zealand)...what I didn't realize what the non-highway roads were more narrow than in Puerto Rico, and our tiny economy car could barely keep up with the posted speed-limits on the main highways. There was a good amount of stress, floor-stomping, and door-grabbing on our first day of driving in Ireland. After a four hour drive (google maps says it takes 1.5hrs direct) we ended up in Wexford Town. 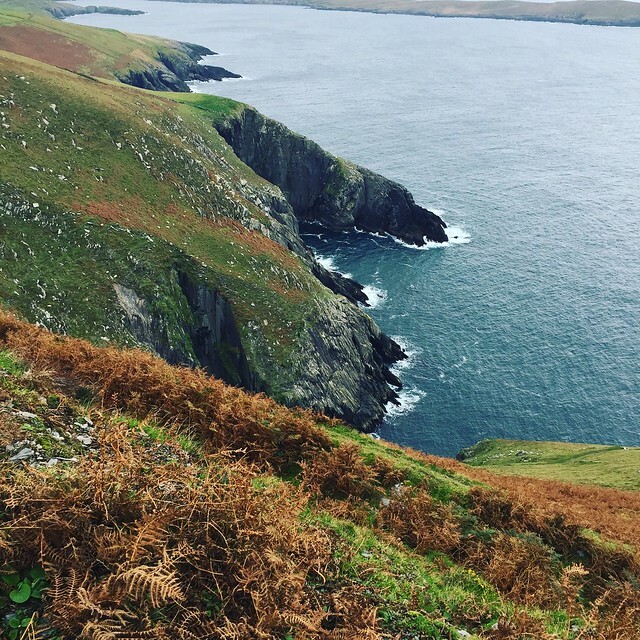 We took the scenic coastal route (read narrow one-car width roads) and we stopped along the way and marveled at Ireland's beautiful beaches. Wexford is south of Dublin and known as the sunnier side of the Island (this is matter of perspective, I suppose). 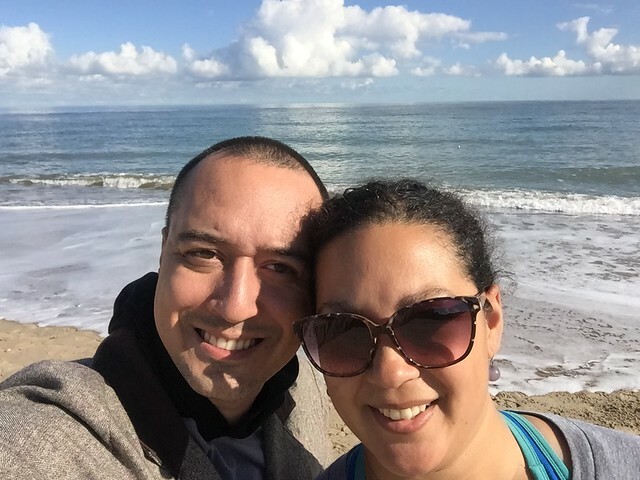 We stayed in Wexford on the recommendation of a co-worker of Alejandro's, we were still working during the week so it was a perfect place to set-up shop and see the beauty of Ireland's southeast coast. Our Airbnb was in the old Custom's building but very modern, and looked right across the Quay to the harbor where fishing boats went in and out all day. Very picturesque. The part of Wexford Town that we stayed in felt like a quaint village, with one way narrow streets, cobblestone paths, and dark cozy pubs - we would find this throughout Ireland and it never ceased to be novel. Wexford still felt like an extension of Dublin in a way, there is an easy train ride from one city to the next, and while we were no longer in the city, we were definitely not in the countryside. Wexford Town was great place to spend a few days, we probably missed a ton, but a lovely week nonetheless. Since we work during the day, visiting these little towns for us is like living somewhere for a week like you would in any home - going to the grocery store, finding a laundromat, getting work done, and then at night and on the weekends you experience what that location has to offer. We enjoy this aspect, we like "living like a local" even if it is temporary. We aren't on vacation, we're both working, so we try to make it feel like we're at home as much as is possible. Home doesn't always have to have fixed geographical coordinates for us, not right now at least. Our next "home" after Wexford, was Long Strand, County Cork. 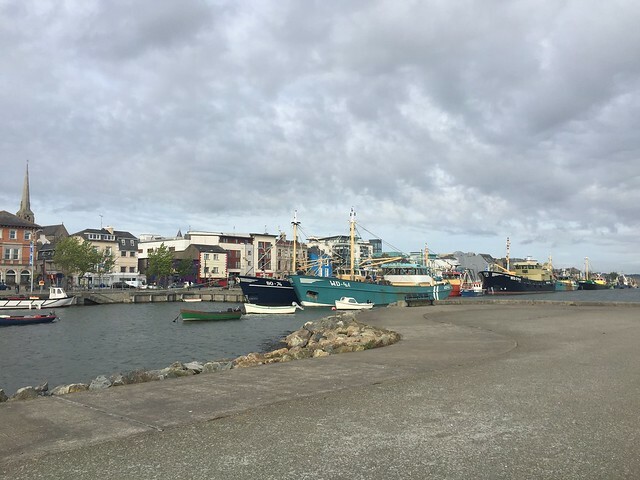 We packed up our bags, our bits of groceries collected along the way, and started out on the second weekend of driving - we hadn't been back in the car since driving day 1, as Wexford Town is very walkable. 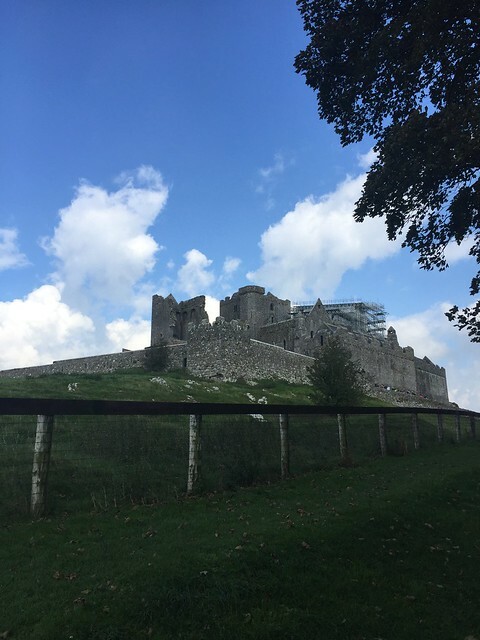 On our way(ish) to Long Strand, we stopped in Cashel to visit the historic Rock of Cashel - sitting high above the town, the Rock was the seat of the kings of Munster up until the Norman invasion when it was then given over to the Church. 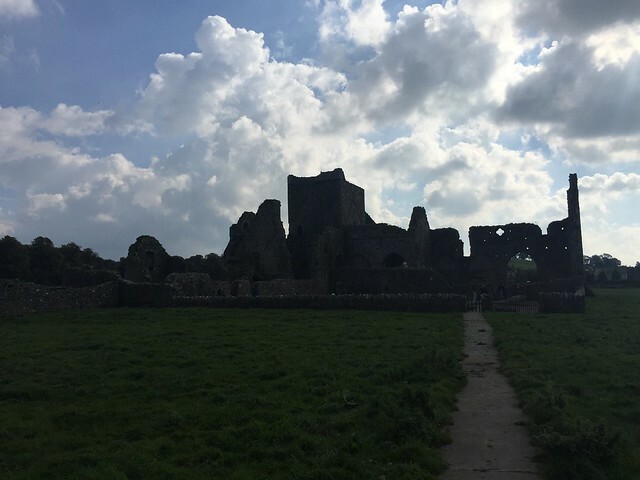 We did the recommended walk through town, walked over to the ruins of an old abbey (Hore Abbey), and then up the hill to the Rock. We were lucky the weather was on our side as the views went on for miles. The tour was worth the hike as well, as the guides was knowledgable and personable, and it definitely wasn't a huge tourist attraction with hoards of visitors. It was worth the detour on narrow, winding roads. 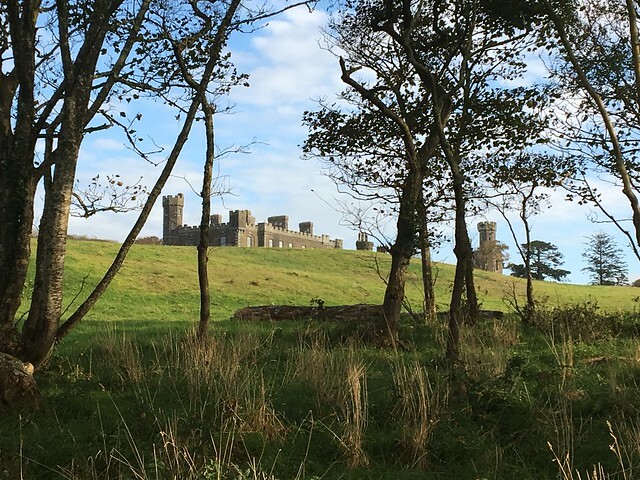 After Cashel, we finally made our way (late), to Long Strand. We were finally in the true country. Our neighbors were cows, horses, and sheep. 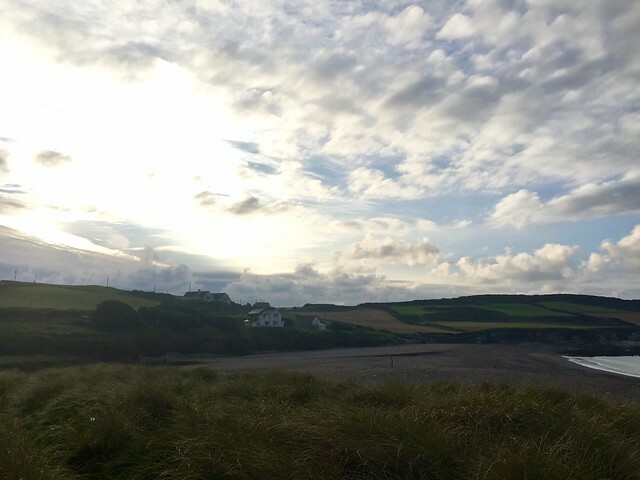 We were walking distance to the beach and a 20-minute drive to the nearest "town" - Clonakilty. When travelers and writers talk about the windswept beaches and dunes of Ireland, I think this is what they mean. We ventured along the beach, dunes, and road, saw no people or cars for our whole walk - one precocious dog though - ate blackberries whenever we saw them and enjoyed the bit of sunshine that disappeared by the end of our Long Strand visit. 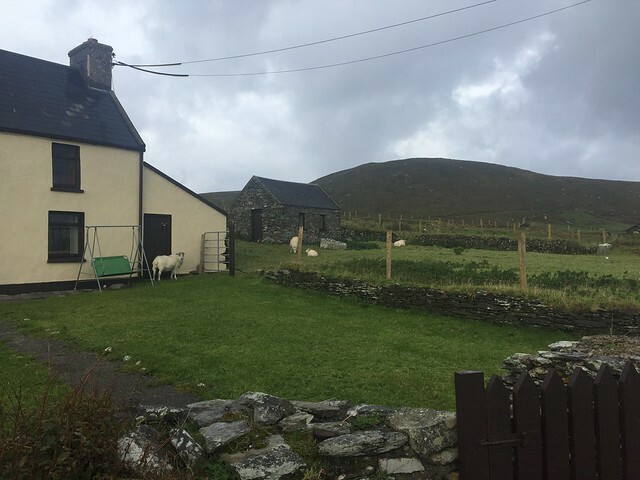 Our little cottage in Long Strand was in a great location, with incredible views, and a very friend cat named Hamish that belonged to the owners. The cows next door decided to yell at Alejandro every time he walked by them, and we found that tractors in Ireland ALWAYS have the right of way. Remember that collision insurance we didn't get in Dublin? Well in the midst of trying to back up to avoid a tractor, I lost a battle with a picnic table and put a small dent in our uninsured car...maybe the car company won't notice? Being in a place like Long Strand, you can't help but relax. 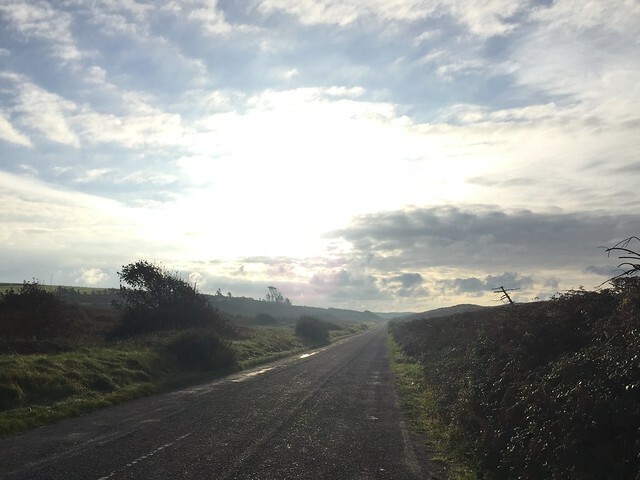 When the weather was nice in the mornings we'd go for a quick walk near the beach, work during the day, and either cook in the cottage or find a restaurant or pub in Clonakilty. 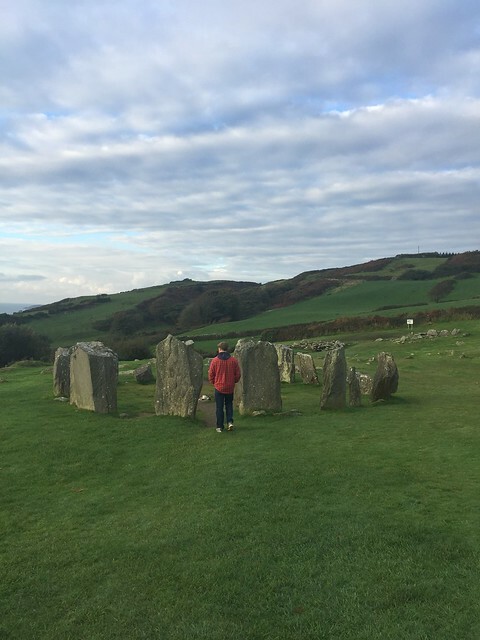 One morning we even drove out to see some Bronze Age ruins and standing stones that just happen to be in the middle of a farmer's field - not as rare as one would think. If you ever find yourself in Long Strand, go the Puffin Cafe that sits right at the end of the beach - gourmet pizza and wine,(and ice cream) is all they serve, and they serve it well. We can't review the ice cream because at this point, we were freezing pretty much all day, every day. I still hadn't bought a coat, but I did have a nice thick hoodie from a sponsor giveaway at our Amsterdam event. 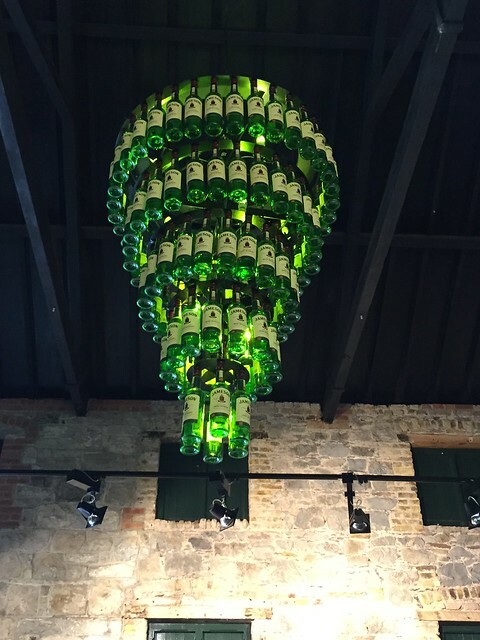 The highlight of our time in County Cork was our visit to the Jameson Distillery, a far cry from the amusement park of the Guinness Storehouse, this was a great tour. I was so giddy with experiencing the distillery I signed us up for private whiskey tasting in addition to the tour. 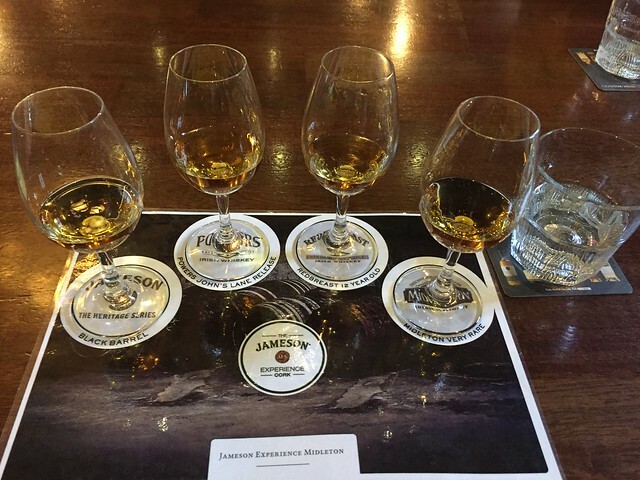 The distillery produces Jameson you can't get anywhere else, and other brands of whiskey as well. I highly recommend taking this tour if you are at all a whiskey drinker. Long Strand was our last work/live location before we took a week to go to one of the most out of the way places in Ireland - Dursey Island. 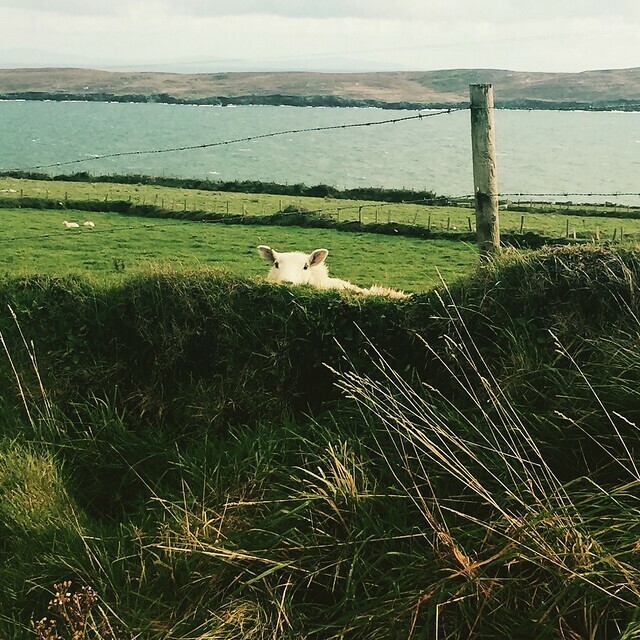 Dursey Island is home to 6 permanent residents, though we only saw 2 - and roughly 500 sheep and cows, maybe more. 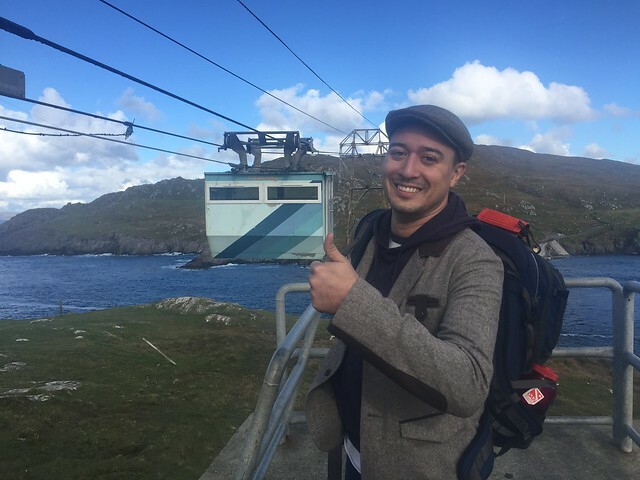 The only way on and off the island is by cable car that crosses the swift currents of Dursey Channel. The cable car holds at most 6 passengers, 1 cow, or one telephone pole cut into pieces to fit inside. Twice a year a freighter comes to the island so the residents can take their sheep off the island more efficiently, and bring cars and materials over. There are a number of restored vacation cottages on the island that we're told people enjoy in the summer months. In October, we appeared to be the only non-permanents staying overnight. The cable operator, Paddy, runs the car for an hour in the morning, and a few hours in the afternoon. Locals get priority for use, and then day hikers can come across, but it takes 10 minutes to cross each direction and when there are 100 bales of hay that need to come across there isn't always an opportunity for non-locals to come over. Also, the cable car will run in all sorts of weather - up to Gale Force 8 winds (39-46 mph). Once across to the island, on a nice, not windy, sunny day, our Airbnb host left us a Jeep to get from the cable car to the historic schoolhouse that he's restored and turned into a guest house. 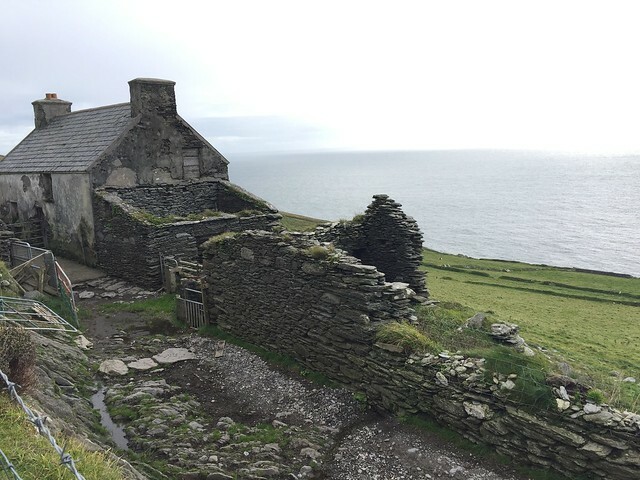 We picked up the keys and our instructions from Paddy, the cable car operator, and since there is only one "road" on the island we just drove until we saw the school house. 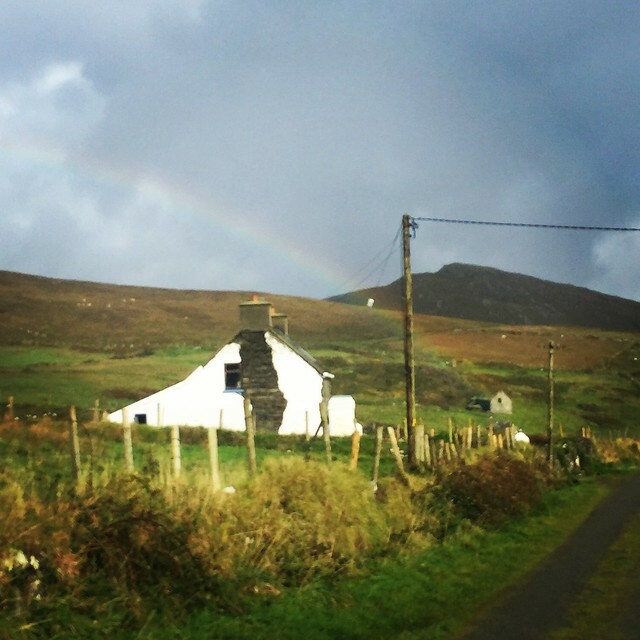 There are three townlands on the island, not villages but clusters of homes, with about 500 meters between the first and the second townland. The third, and smallest, was towards the farthest end of the island. Since there are no pubs, stores, post offices, or any sort of civil infrastructure, you have to bring everything with you. We brought all our groceries for the week, but the schoolhouse with stocked with everything else we needed to survive. Plenty of firewood, books, some additional snacks, and quiet tranquility. The loudest noises on the island come from the wind and the cows. 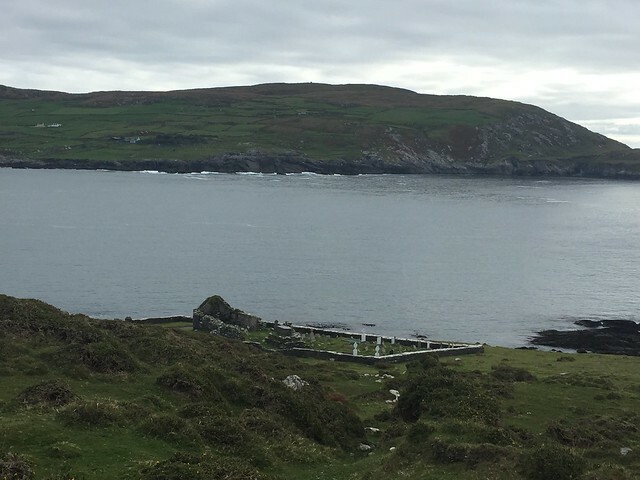 Our first full day was a cold and windy one so we stayed in by the fire, I read an entire book about Dursey Island history - Discover Dursey - and just enjoyed the solitude. Once our first sunny day appeared we hiked the island and I peppered Alejandro with all the historical facts I'd learned from my read. 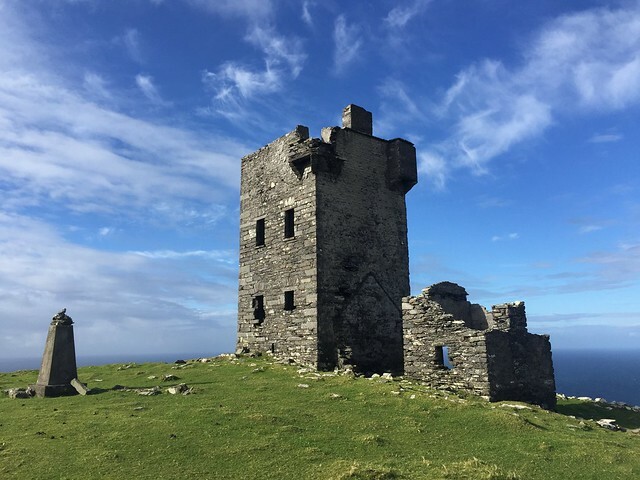 We hiked up to the Napoleonic-era signal tower, down to the last townland, and almost out to the tip of the island. We had a stand-off with a herd of sheep we surprised while walking down the road. There are no beaches on the island, with everything basically ending in cliff edges. 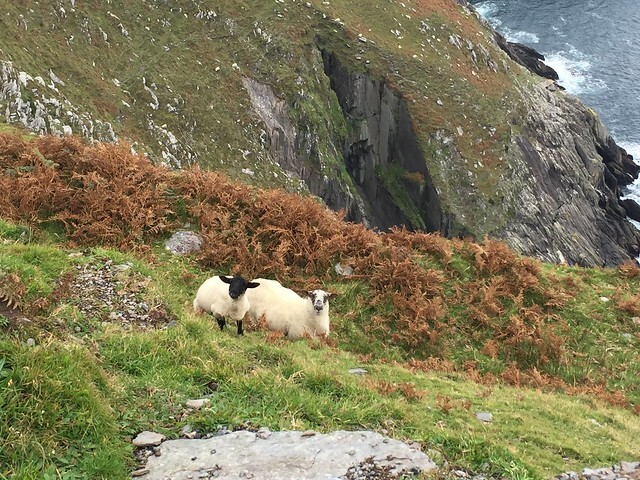 The sheep amazed us with their climbing abilities and death defying attempts to get what must be really really good grass that grows only on cliffs. 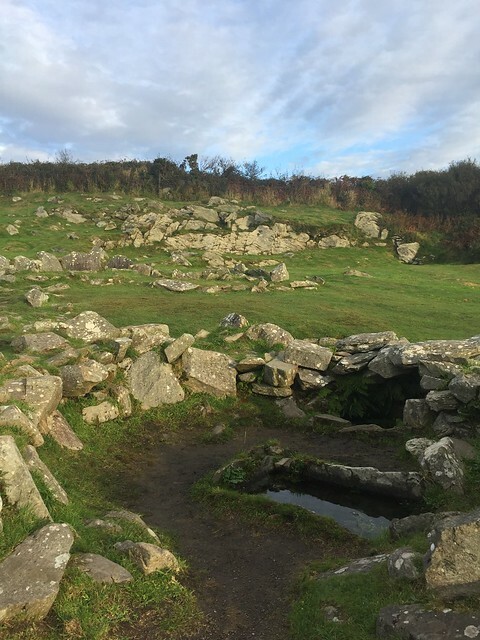 On our second day of hiking we walked in the direction back to the cable car to check out the ruins of an old monastery and the cemetery that still looks to be in use until recently. 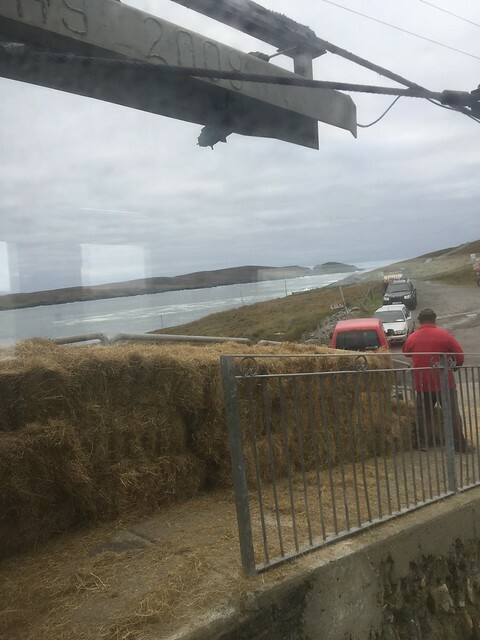 This side of the island is much busier than the other side - from the cable car you can see across to the mainland and watch the movements of farm life happening over there. You can watch the cable car come in and out, and see if any boats come through the channel. We even saw some morning walkers from the mainland on the island! People! 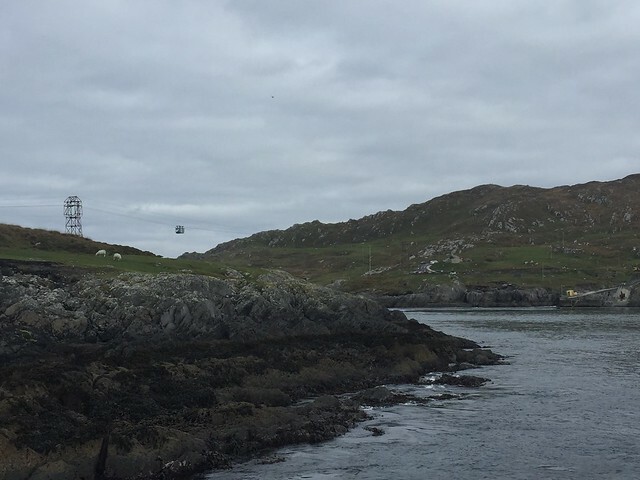 I can see the appeal of having a vacation home out on the island, but it's hard to imagine life before the cable car and trying to just get by in this pretty unforgiving location. While it was worth the trip, and incredibly relaxing, and I would go back in a heartbeat, I found the constant lack of population and access to services to be slightly unnerving. Our last stop in Ireland after Dursey Island was Killarney. 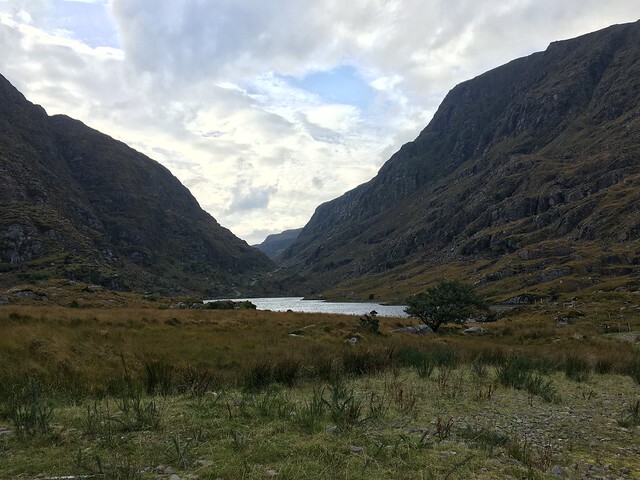 Only an hour and half drive, we left the gentle rolling hills of the south and started in on the high craggy mountains that the west-southwest of Ireland is known for. 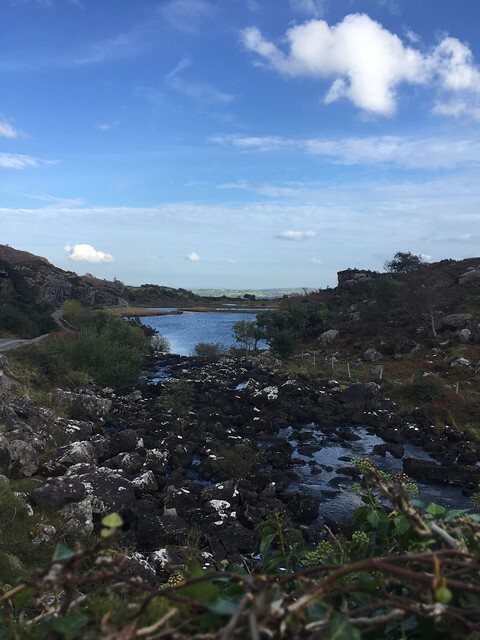 Killarney is historically a tourist destination with tourism being the main industry here for centuries. The mountains and valleys roll into lakes and rivers, and the area is just beautifully scenic. 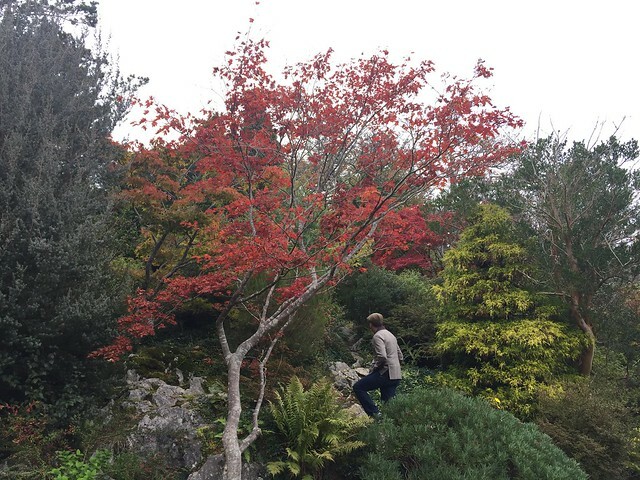 We toured the Muckross estate, a beautiful victorian period estate house and gardens that is part of the Killarney National Park. I even decided to get a coat at this point - as they make their own wool from the sheep at Muckross - and I was tired of freezing. 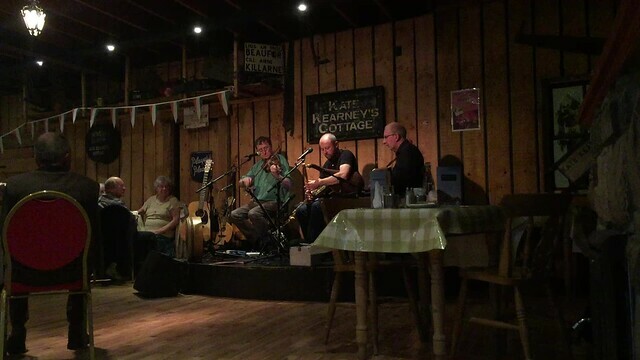 The town of Killarney has plenty of pubs, restaurants, inns, and history too. 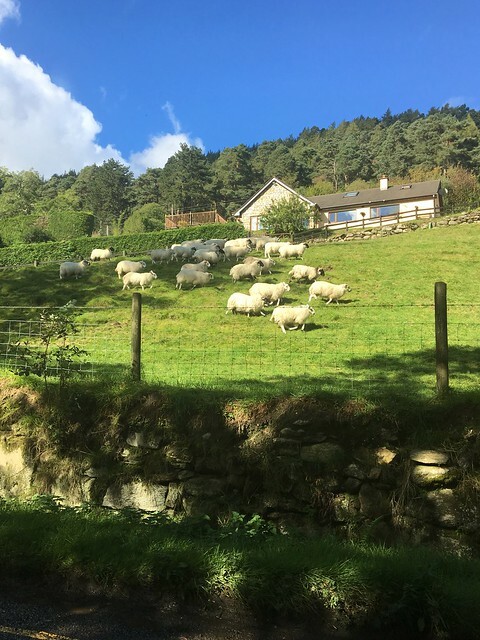 Our white cottage was another one surrounded by sheep and farms, about a 20 minutes from Killarney town. While we caught up on work and a lot of laundry, we enjoyed the crisp fall weather and even a night where the sky was clear enough to see more stars than I've ever seen in my life. 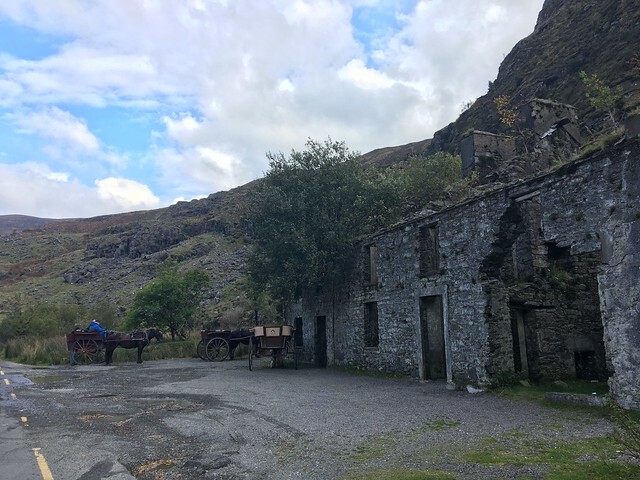 We walked up to the Gap of Dunloe from Kate Kearney's Cottage to the last ruins before you enter the gap. We didn't go through as we weren't prepared to give the whole day over to the gap, but there were plenty of amazing views and hilarious sheep along the way. 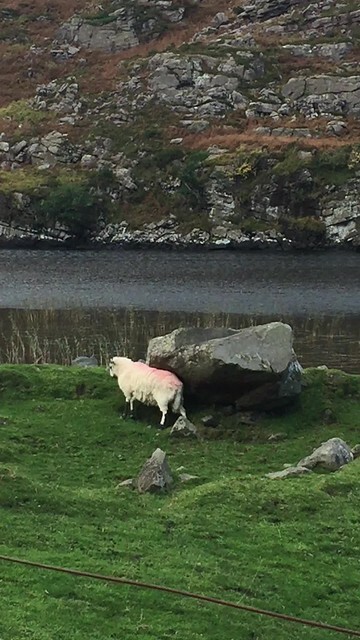 One sheep was having the time of his life with his back scratching massage rock. We walked about 6 miles along the road, with a few cars passing us. The other way to do the Gap is by bicycle or jaunting car though the horses don't go up through the gap either. 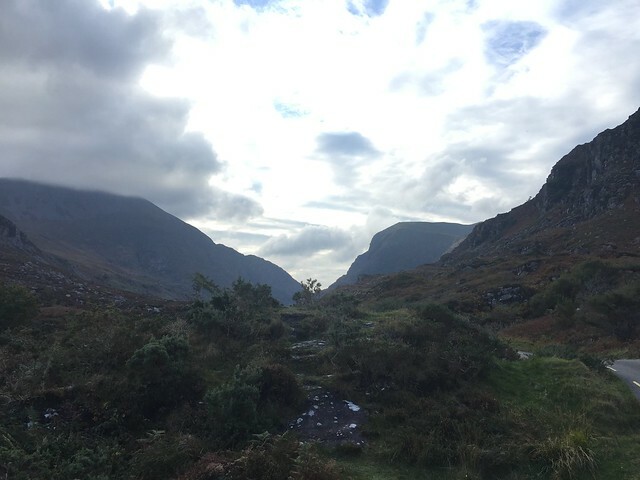 After the Gap of Dunloe we took a quick drive over to Dingle for some world famous(?) 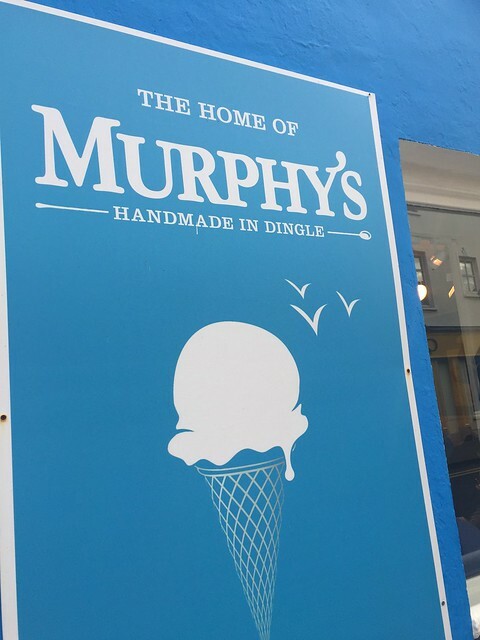 Murphy's Ice Cream and fish and chips. 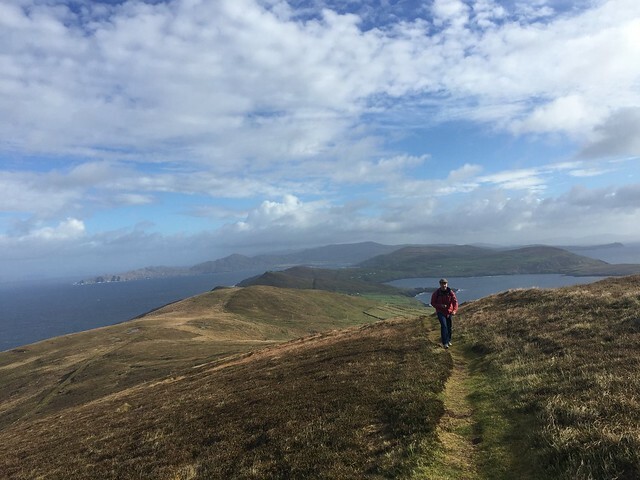 We had intended on staying in Dingle and finishing our trip in Galway but as is life, plans change. Killarney would be our last stop on this Ireland trip as we had to make a side trip to Barcelona for a last minute work event. 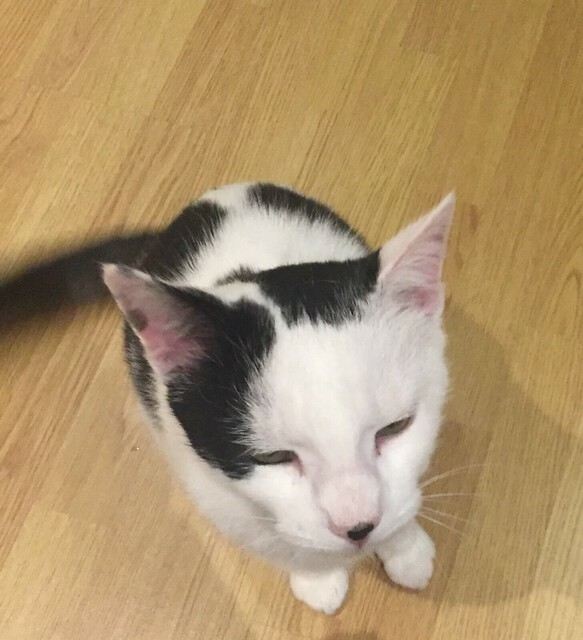 I made the mistake of booking our flight to Barcelona at 11am - when it takes about 4 hours to get from Killarney to Dublin... That made for a very early morning. We also discovered, even on main highways (which there are few of), Ireland doesn't do street lights. Also, gas stations open 24hrs isn't common. So our 4-hour, 4am drive, was probably the least enjoyable part of our Ireland experience. We were relieved to pull into the rental car agency, and although we tried to clean up the wounds from the picnic table incident of Long Strand, our dent was soon discovered. Alejandro did make a good attempt to block said dent with strategically placed luggage, but the inspector was too good at his job. The upside is the repairs still ended up costing less than what paying for the initial coverage would have been. 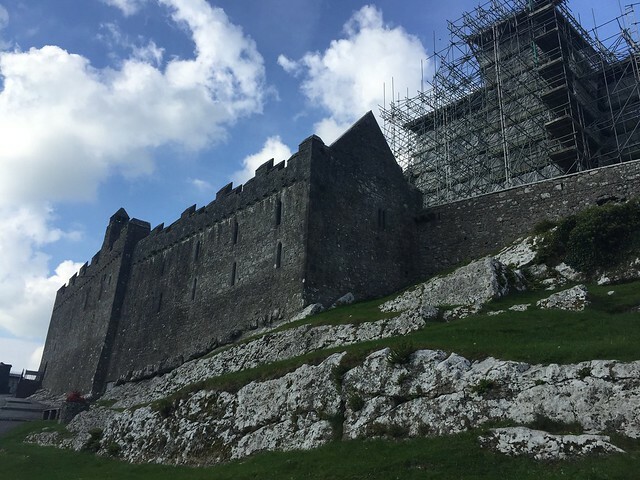 We had a great time in Ireland, getting a taste of the people, the history, and life in general. I could easily be comfortable living in Ireland with a few sheep, some cows, maybe a thicker jacket or a little more sun. And with that, we were on to our next city! Barcelona is one of both of our favorite cities, having come here about 5 years ago on vacation. While this was a quick visit and I had to work an event, we still got to see some of our favorite parts. 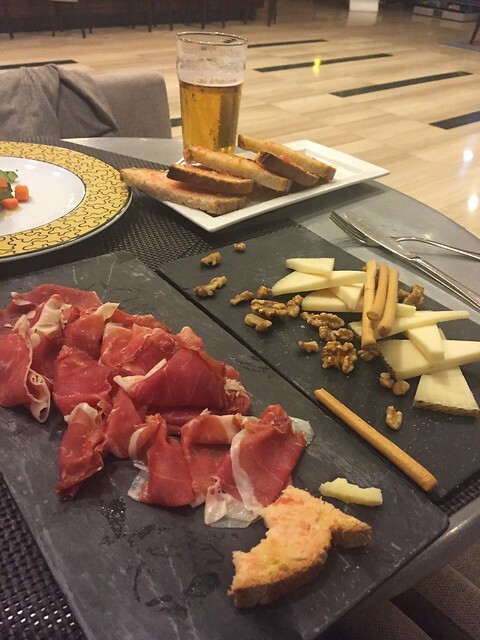 Alejandro found a co-working space in the gothic quarter, I nearly over-dosed on Jamon Iberico, and we had some fantastic paella, tapas and sangria. 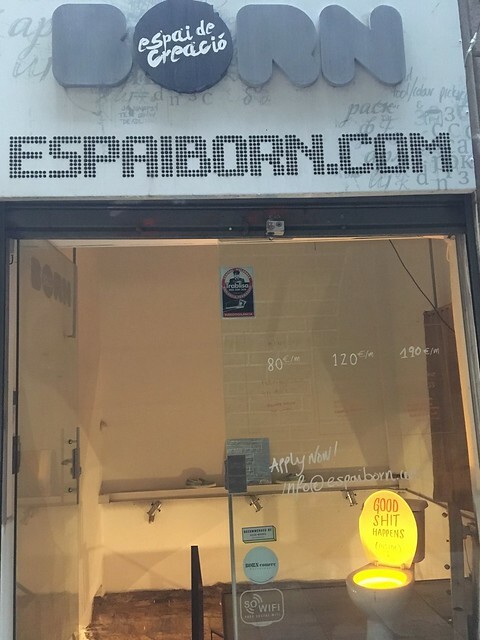 For being such a short (4 days) trip, Barcelona didn't fail us. After Barcelona we got back on our originally planned itinerary and headed to London for our last week in Europe. 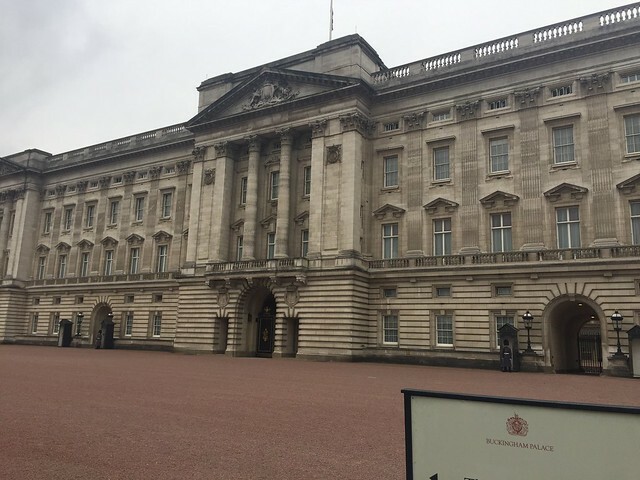 While Alejandro has been to London a number of times, I'd only been once before for a 3 hour tour. We had a nice long weekend to walk the city and explore. 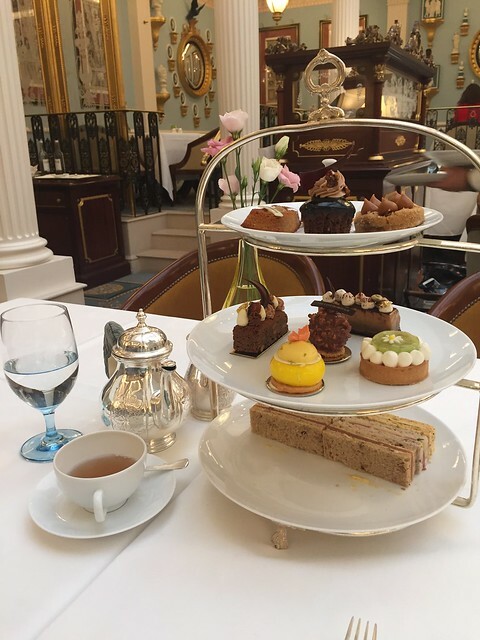 We went over to the palace but the queen wasn't home, so we went on to high tea without her. 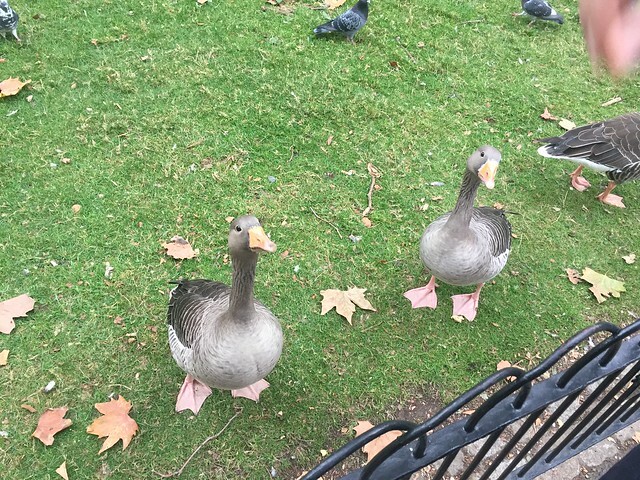 We walked through the parks and gardens, and chatted with some very friendly geese. 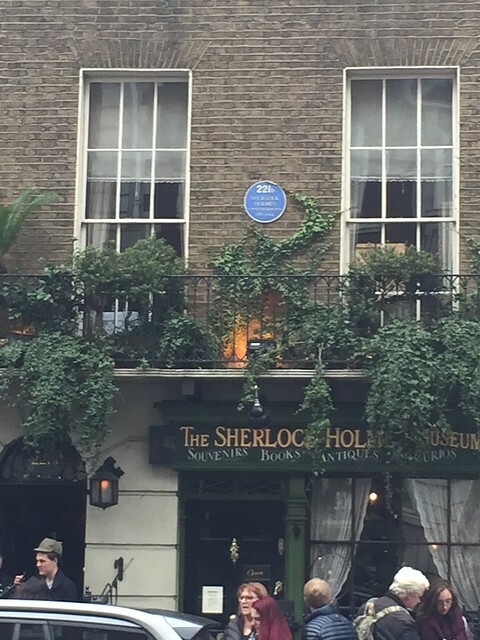 We walked over to Islington to see if the Angel was around, and we strolled past 221B Baker Street but decided that was far too touristy for us. Alejandro's company has an office in London, so while he worked with his team, I tried out a few coffee shops to work from - I wasn't successful in finding an independent shop with consistent internet where I could work all day and ended up at Starbucks...as much as we shun chain restaurants and cookie cutter box stores, there is something to be said about their mostly reliable consistency. The best part of London was the unexpected timing of old co-workers also being in town and getting to catch up with them (and running into friends at the airport), that was a nice surprise and a great way to end our European adventures. We constantly remind ourselves how fortunate we are to be able to be on this Houseless adventure. Everywhere we go, everyone we tell about our trip, we try to remain humble. This isn't a trip for everyone, this isn't a luxury most people have, and in other ways we remember some people are forced into a life of suitcase living that is the complete opposite of our own experiences. While we're not traveling to the farthest corners of the earth, or climbing the tallest mountains, we're constantly learning from our human interactions and different perspectives with each day, each city, and each experience we have along the way. P.S. I apologize for the length of this post, it was overdue for an update, but hopefully this has taken your mind away from a few minutes of election coverage today!